Taking care of your baby gets harder when the baby learns how to crawl or walk by itself. At that time you need all time monitoring to your baby. 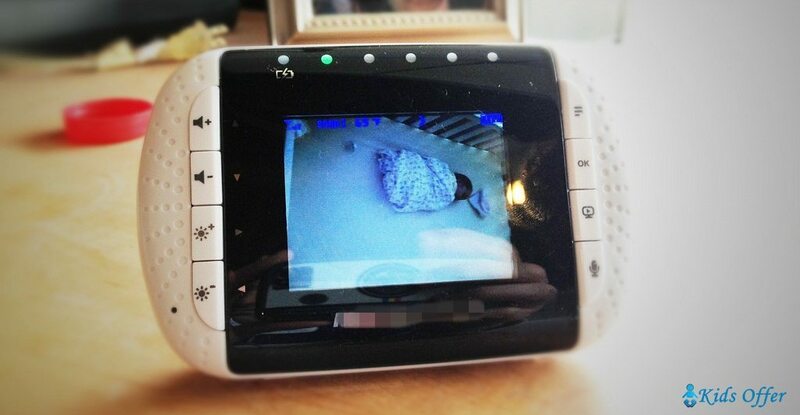 Baby Monitors are the best to monitor your baby easily than anything else. Of different kinds of monitors Wifi Baby Monitors are one of the best. The best baby monitor with Wifi ensures the complete safety of your baby as this baby monitor has Wi-fi supported camera transmitter and the parents can monitor the baby in any smart devices like smart phone, TV or tab in any place of the house and outside house. Wifi baby Monitor and Video baby Monitor are almost the same. But Wifi Baby Monitor has some features and facilities which have never been found in the Video baby Monitor. First of all, the operating system of Wifi Baby Monitor. 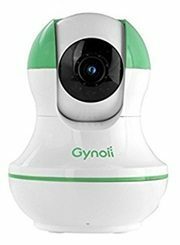 There is a camera with Wifi transmitter, which has to be set at the baby’s room and through Wifi you can monitor your baby by using smartphone, tablet, TV or laptop. Video Baby Monitors have a receiver with a display which displays the baby and this display needs to set in a room. But Wifi Baby Monitor allows you to monitor your baby from any part of the house by anyone ensuring the highest safety and security of your baby. In Twentieth century, parents had less choice to monitor their babies as there were only audio monitors found. But from the beginning of the 21st century the situation started to change as the baby monitors developed rapidly. There were different types of baby monitors for the parents. Of them Video Baby Monitors were the best and Wifi Baby Monitor is the extended version of the Video Baby Monitor. To get an updated baby monitor, you need to consider more things before buying it. For buying a Wifi Baby Monitor you must consider these things first. This wifi baby monitor review will help you to find the best one. Smart devices: Before buying a Wifi baby Monitor you must ensure that there are smart devices in your home. Smartphone, laptop or TV are enough. Internet and wireless router: Without internet connection and wireless router you can’t monitor the baby. The range of the wireless router must be large. So, manage these necessary gadgets. Internet speed: You can’t run the video of your baby smoothly if your internet speed is slow. So, the speed of the internet must be fast. Security: As the Wifi baby monitor run through internet, make sure that it is hack proof. Sometimes the baby monitors are hacked by the Hackers. Extra features: You must check some extra features in the baby monitor which are very important before buying a Wifi Baby Monitor like night vision, motion sensors, sound, light and low battery indicator. Another great wifi baby monitor which has all the facilities to monitor your baby without any difficulty. This monitor has a powerful camera which can capture video with the quality of 1080p full HD. The best thing is you can control the camera from anywhere. With its cloud storage facility, it can stream the video on your smart devices 24/7. For continues recording the video you can subscribe to Nest Aware. If you don’t want to subscribe, you can record the video in microSD card. All the cameras have 30 days trial benefit. You can see or hear the baby or you can talk to anyone to get attention to monitor the baby. This baby monitor gives alerts to your phone if anything happens to the baby. With its great night vision and 30 LED lights, you can see the whole room at night. You can manually select a specific area to monitor by this monitor. The stand is versatile to use it in any position. To hang the monitor on the wall, it has screw and wall-mounting plate. To use it with ease it has an easy set up and with quick start guide. The app Nest Cam will give you ease to control this monitor easily. To make it all time active this monitor has 10 ft long USB cable and power adaptor. 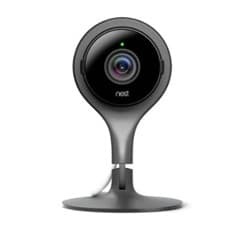 Running through wifi and internet, the videos are protected by Nest Cam to make you secured. Vimtag made a nice looking and light Wifi Baby Monitor only for you to monitor your baby. Its camera provides perfect one million pixel HD videos with 1280x720p quality at 25fps. Having 320×120 degree camera angle, this baby monitor covers every corner of your house. It has 12 IR LEDs for nigh vision to record every movement at night and with the digital zoom power it can record up to 10 meters. The advantage of this monitor is it can also use for other purposes like business monitoring, security, pet monitoring and vacation home monitoring. And you can stream the video through smartphone, tablet and pc. The camera can capture video by Pan and by tilted. 2-way audio provides all time monitoring your baby. The QR code scan gives a very easy setup within 5 minutes. It includes a SD card slot and supports 32 GB to record videos. Its WPS button makes the wifi connection easier. With the durable body made with strong rubber materials it lasts for a long time. Only cons is its only con is it has no cloud recording. To monitor your baby closely even if you are far from home, this wifi baby monitor will make you close all the time with your baby. It has one of the best cameras in it which can capture video of 1080p at 30 fps. With Sony image sensor and Ambarella processor, this baby monitor gives you the highest quality video. By pan and tilt, this super camera can capture 360 degree video whenever you want. It also gives 90 degree wide angle view the see the whole room of the baby. 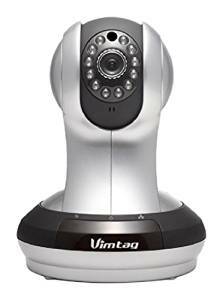 This power camera has digital zoom with LED night vision which can video up to 32 ft distance at night. All the videos can be recorded to any microSD card. It can also store the video in the cloud storage 4 hours continue for free. You can stream the video to your smart devices like tablet, laptop or pc to make your baby safe. 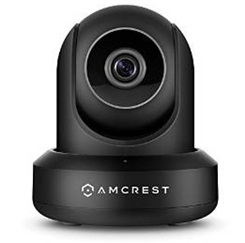 But if you want to monitor your all the time even if you are not home, you can just download the Amcrest View App and you can stream all the videos in your smartphone. The 2 way talking system gives you a chance to alert the other family members to monitor the baby if you are not at home. Its intelligent motion alert system alerts you by sending email or snapshots to your phone. This baby monitor supports other web apps like safari, Firefox and chrome to provide alert through web. 10 ft long power supply cord ensures all time monitoring to your baby. With a very easy set up and use, this wifi baby monitor includes a 1 year warranty and lifetime support. A great wifi baby monitor which is used to monitor your baby not only by yourself but also by other family members too. The guest feature makes the monitoring the baby by your other family member and your friends if you allow access and they login. This access will help them to monitor the baby but they can’t talk and play music for the baby. You just need only 60 seconds to set it up because of its easy set up. With its high quality camera it can capture 720p HD quality video of your baby. Its infrared night vision allows you to see your baby even in the darkest night. You can share the videos of your baby to any social network like facebook, twitter or instagram within a moment through this monitor by adding music and graphics. With the advanced transmission technology, all the audio and video data are transmitted to your devices with highest security. With this outstanding monitor you can soothe your baby by talking as this monitor has 2 way talking system. You can constantly enjoy the other apps of this monitor as this one enables continue audio streaming in the background of the other apps. You can see the video using laptop, tab and pc. If you download its own app you can also watch the video on your iPhone or Android smartphone. It can time-lapse maximum 160 minutes video into 40 seconds and capture snapshots. To remove all the hectic to monitor your baby, this wifi baby monitor is the perfect one as this monitor is regarded one of the best wifi baby monitors. It has HD video quality of 720P at 30fps. And this HD video can be recorded to a micro SD card or Amcrest NVR. But for your convenience, this great monitor provides a 4 hours continue free cloud storage. You can also use the cloud storage for week or month by paying the charge. To save your precious time this wifi baby monitor has a very quick set up with iPhone and Andriod phones. 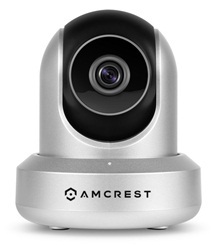 With Amcrest app, you can stream the video in your phone tablet, Mac or Windows pc or laptop. The camera can capture video with 360 degree pan and tilt. Its 85 degree camera angle can take video and show it on laptop or smartphone. The camera has digital zoom and night vision which can capture video up to 32 ft at night. All the cameras have CE and FCC certified. Its 10 ft long power supply helps it to alert all the time. Its 2 way talking system makes you stay in touch of your baby always. It gives you alert of your phone call or email. For the security of your house it can monitor all the place and persons of your house. It can protect your home from trespasses. With 1 year warranty and lifetime support, this wifi baby monitor can be used in other places like office and business places too. Problem is some users say the app needs to be improved. To buy the best baby monitor with wifi you need to be aware of some certain aspects which are very important. Closely observe these features they are in the baby monitor or not. Camera: A great Wifi Baby Monitor has the best camera in it. It must have full HD camera. The camera must capture all the corners of your home. It also has to capture video from pan and tilt angle. The camera should have the capability to take snap shot. Temperature sensor: Temperature sensor helps you to make you alert about the right temperature of the baby’s room. Wiffi connectivity: The best wifi baby monitor gets the connectivity very quick after it is on. Brand: Well known and famous brands provide high quality products which will last long. Go for them though they will cost you little more. Nest, Amcrest and Vimtag are the best known. Alert:The wifi baby monitor must send alerts like sound, email or message to you when through wifi or internet. Easy and quick setup: You need to closely look that the monitor you’re going to buy has a quick and easy set up or not. These benefits will help you to use the monitor with ease. Audio monitoring: The best wifi baby with monitor provides continues audio monitoring as you need to do other works in your smartphone or laptop. Sound and Motion sensor: Sound and motion sensor helps to alert you about the baby by its movement and sound. Price: Great products are always costly. But there are cheap wifi baby monitors which are also great with quality. You should go for the best one which has all the facilities with an affordable price within your ability. Security: The monitor must have a strong security system to protect all the data of the user. Baby monitors are not products to amuse your baby. These ensure the safety of the baby. So you must buy the best wifi baby monitor with all the features and know the best use of the wifi baby monitor.